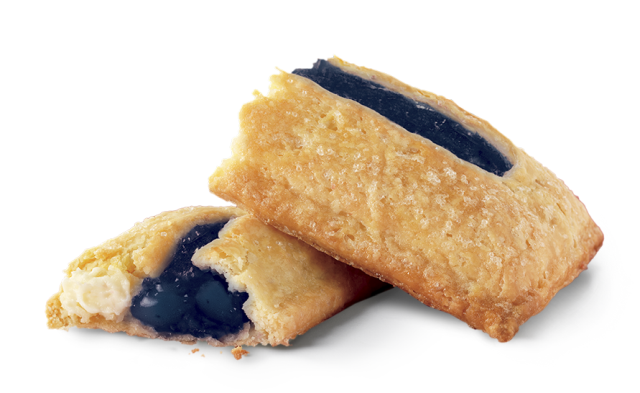 McDonald's is serving warm Blueberry & Creme Pie for a limited time this summer at participating restaurants in select areas, including here in Los Angeles, CA. Similar to their Strawberry & Creme Pie, the baked turnover-style pie features a layer of blueberry filling alongside a layer of vanilla-flavored creme inside of a sugar-coated crust. Here in Los Angeles, they're going for 89 cents a pop or two pies for $1.50.